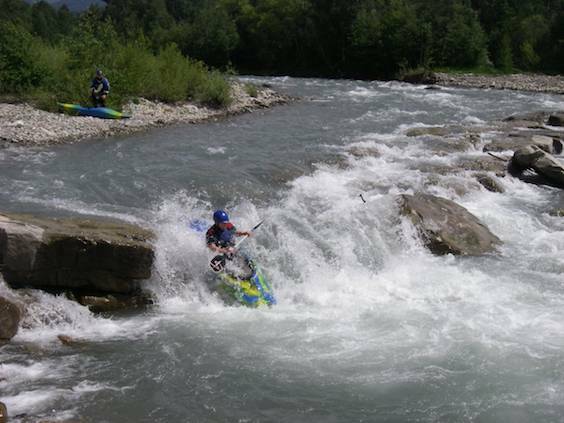 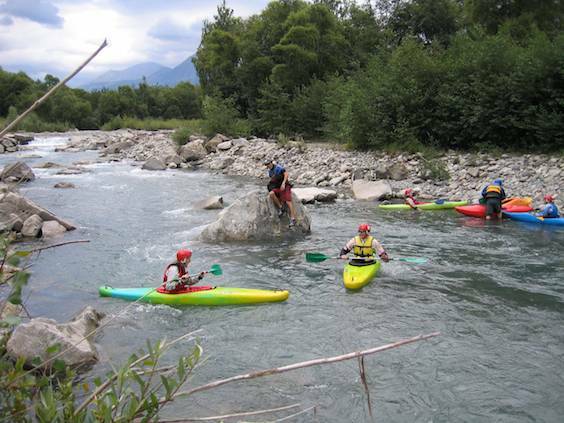 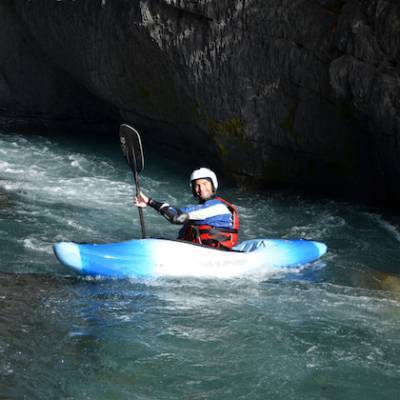 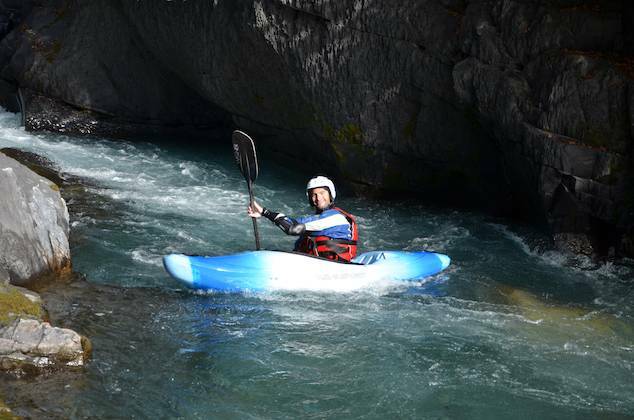 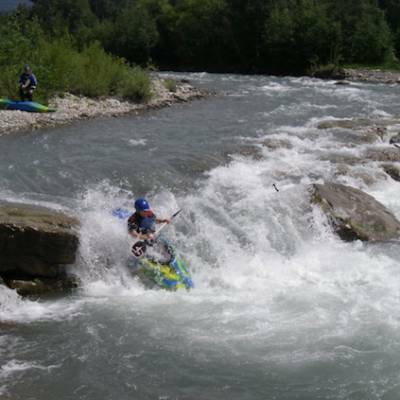 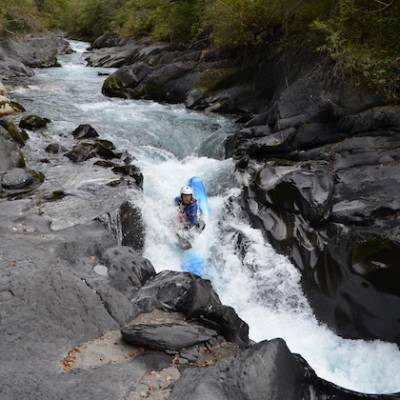 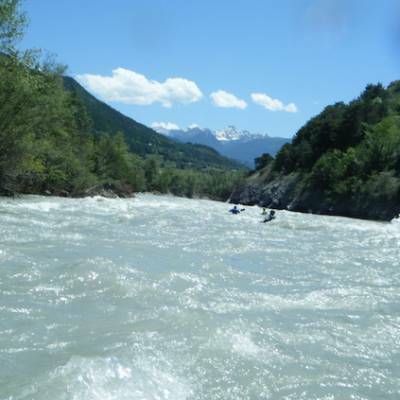 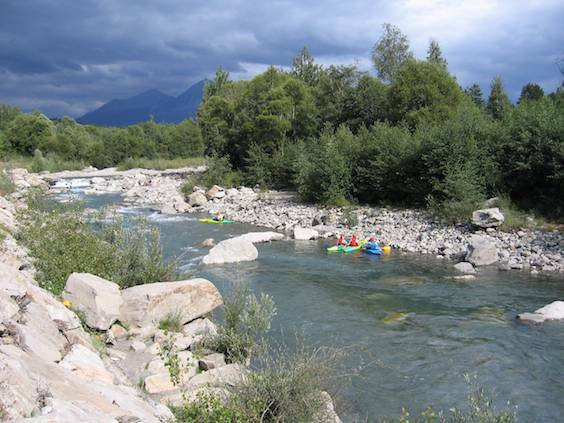 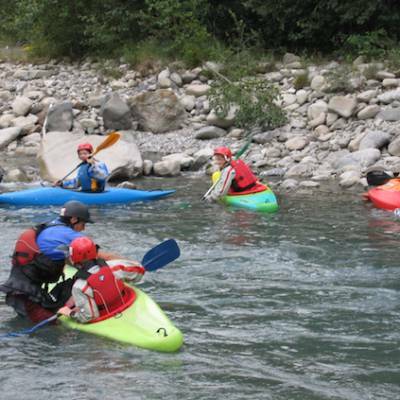 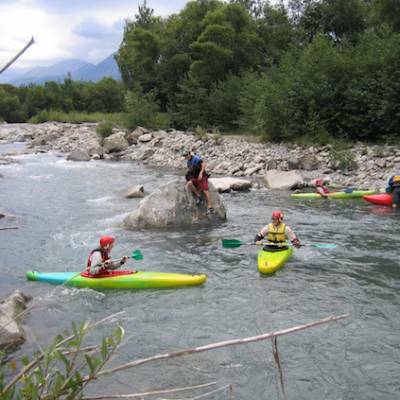 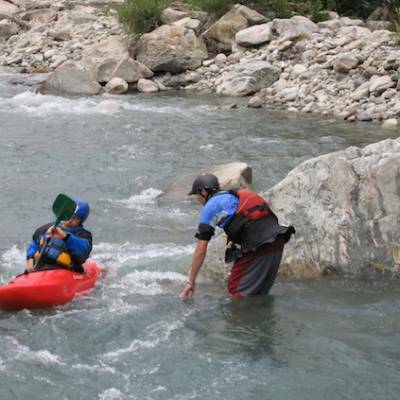 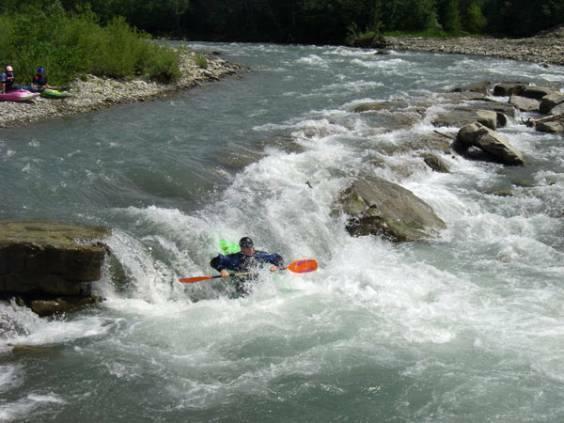 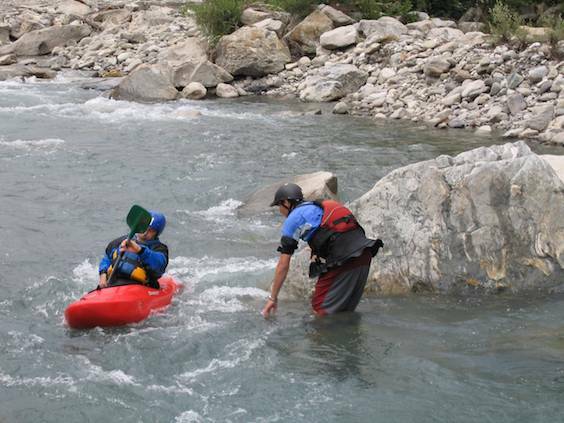 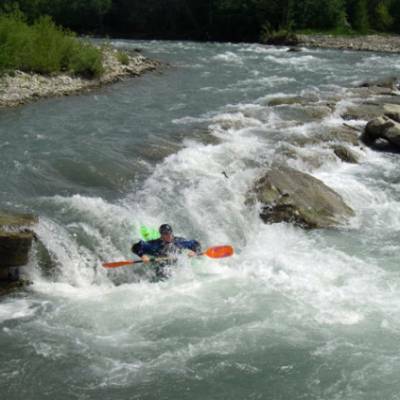 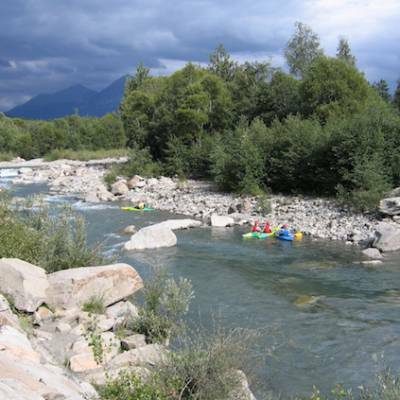 The Southern French Alps is famous for its white water and kayakers from all over the world come here in the spring and summer to take advantage of the melting snow and glacier ice and paddle amongst the stunning mountain scenery. 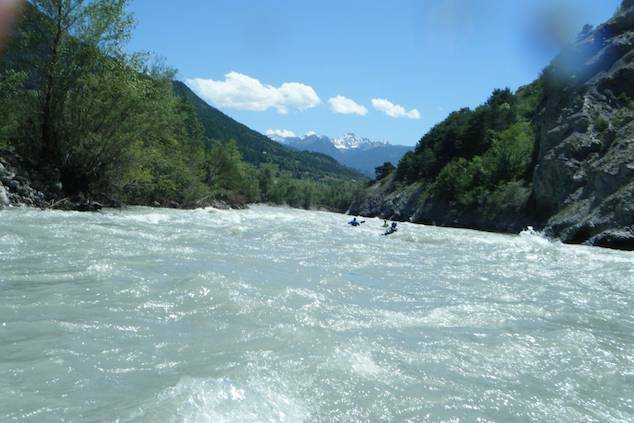 Thanks to its large variety of rivers from grade 2 to 6 (Drac, Séveraisse, Bonne, Durance, Ubaye, Guil, etc.) 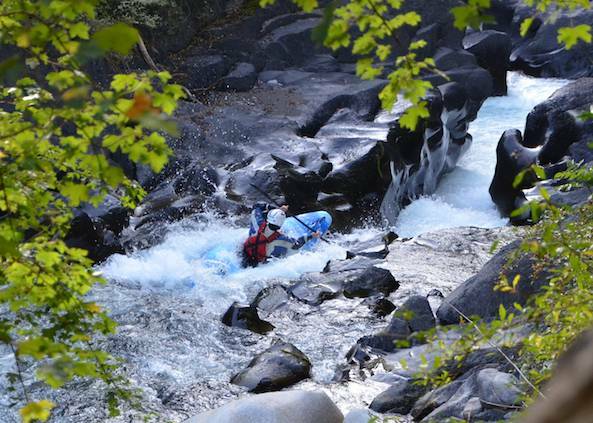 all within an hour of each other, the region is a true playground for kayakers of all levels! 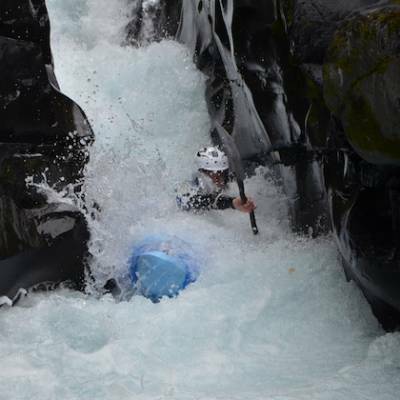 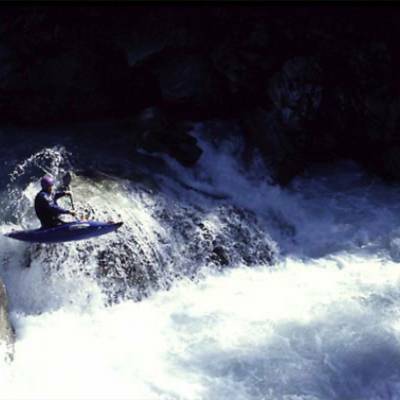 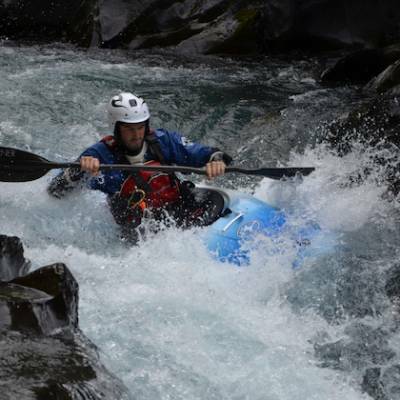 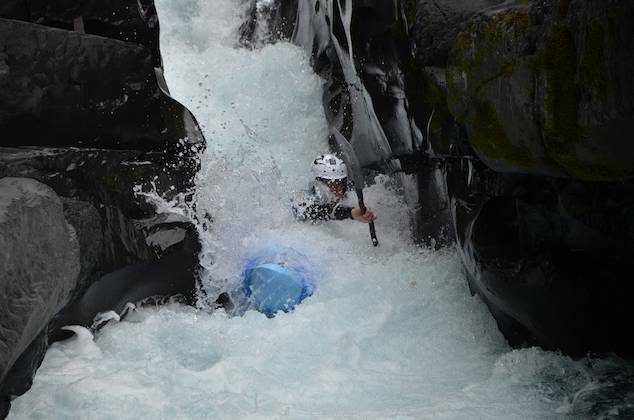 True white water kayaking in a closed top hard kayak is a sport that requires a certain level of skill. 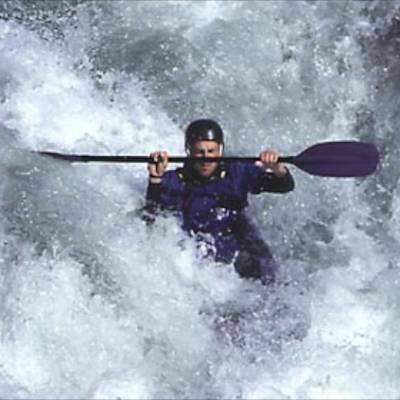 Getting good enough to paddle grade 3 and 4 rivers often takes several years of paddling. 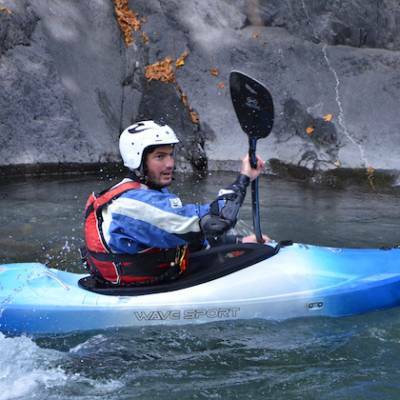 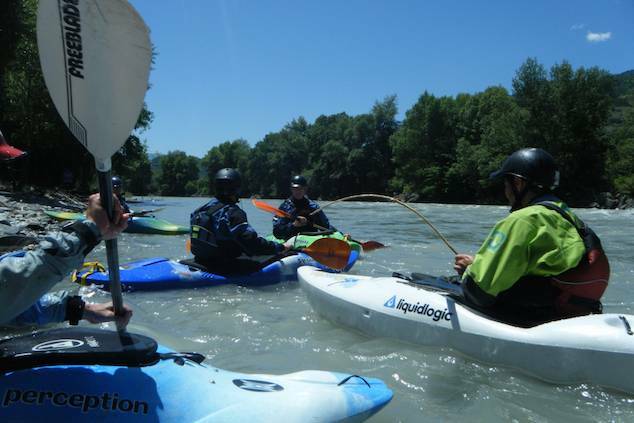 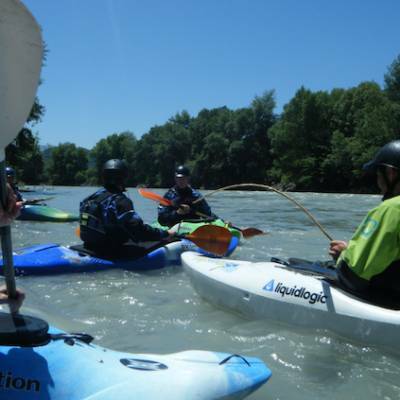 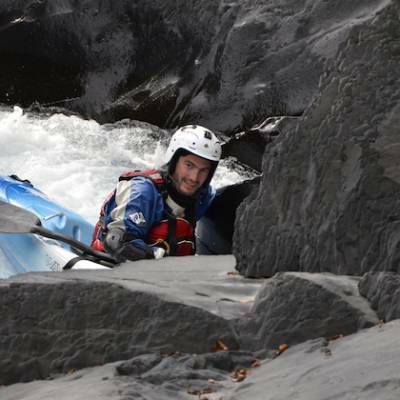 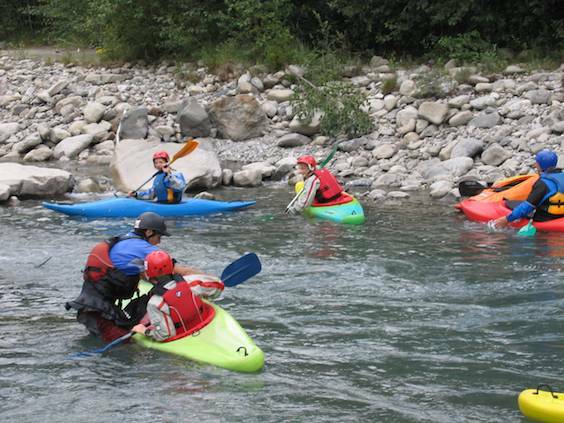 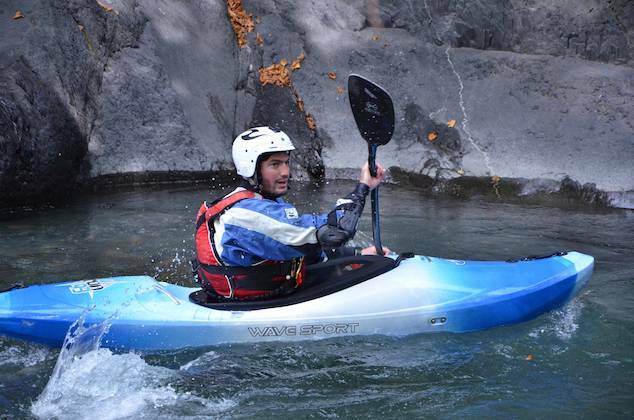 We offer beginner courses to develop the basics required to be safe on a river, which is an excellent starting point if you are serious and interested in learning to kayak. 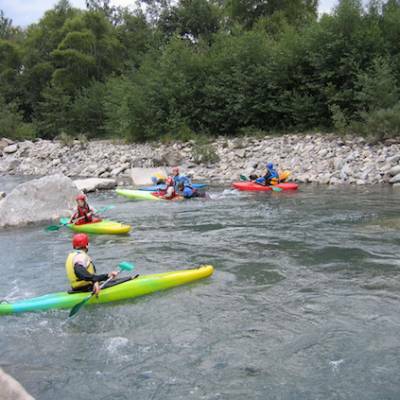 For intermediate paddlers, we also have a trip where our local guides will take you on the best bits of the rivers and help you improve your skills and technique whilst discovering the best play spots. 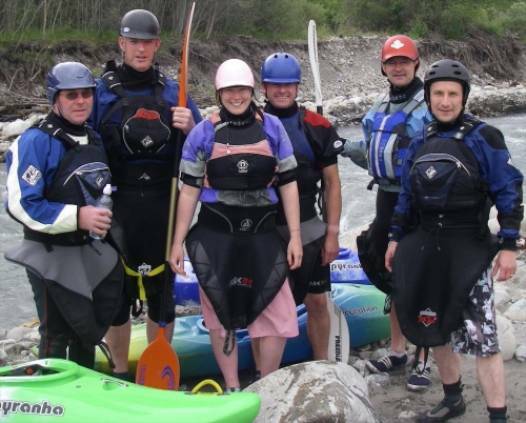 If you don't want to actually learn how to kayak properly on white water but still want to have fun on the rapids then air boating and inflatable canoes are a great alternative. 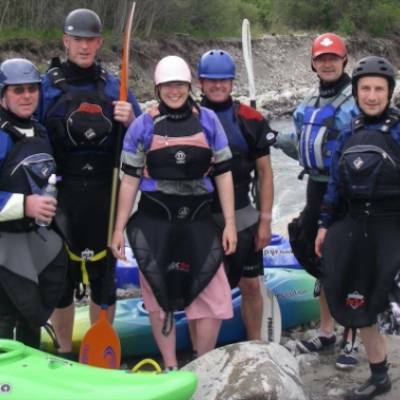 They are a little more extreme than rafting (depending on the river levels) and use similar skills to navigate but in a very forgiving inflatable craft, so you can have the fun without being an expert paddler! 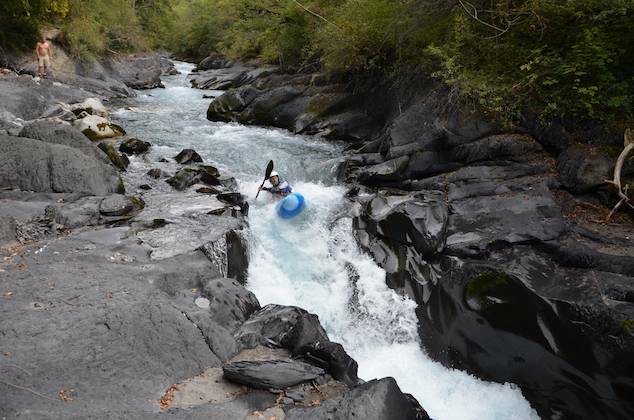 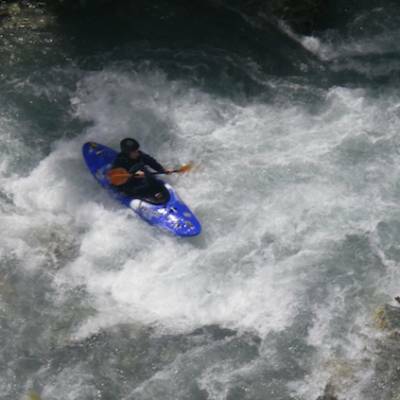 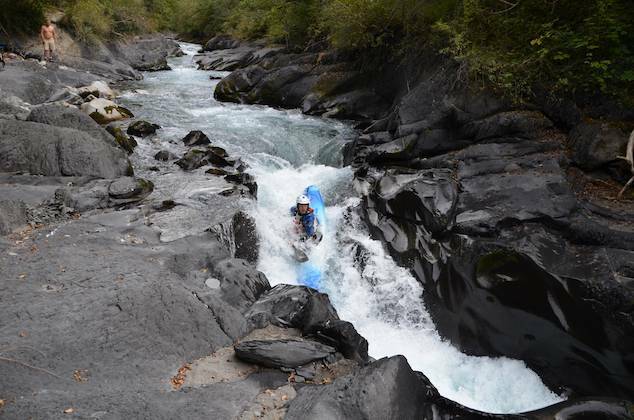 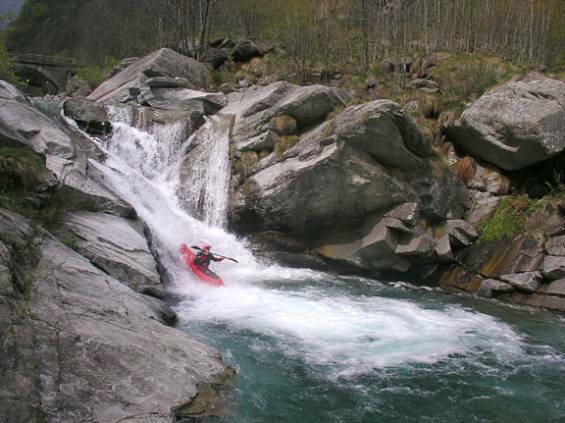 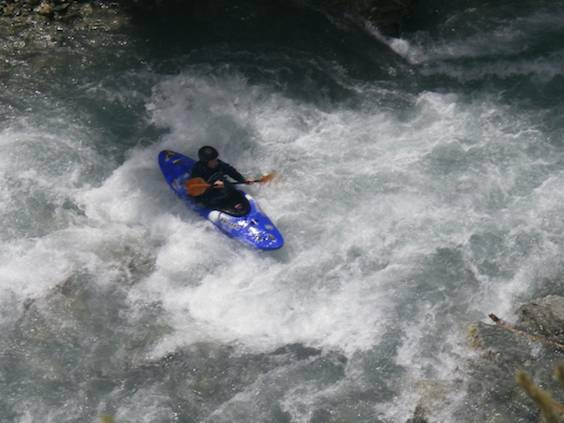 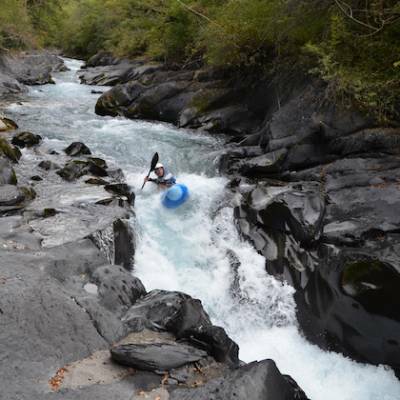 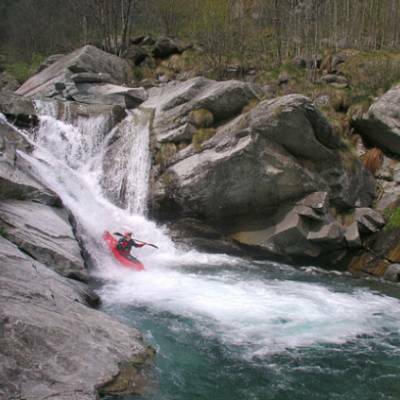 The best time of year for white water in the Southern French Alps is in the spring and early summer when the snow and ice are melting. 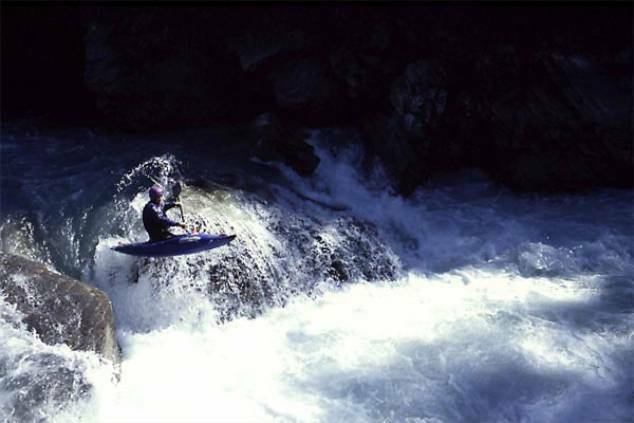 At this time of year you have the choice of pretty much all the rivers. 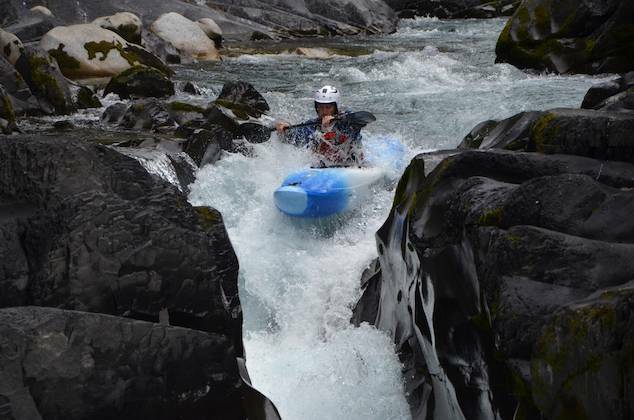 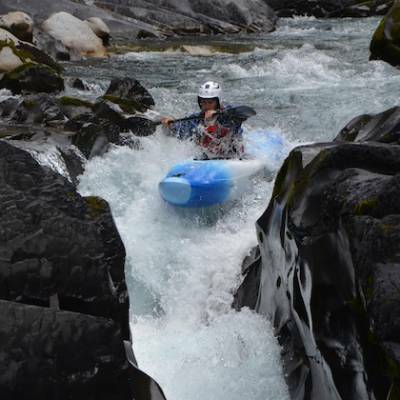 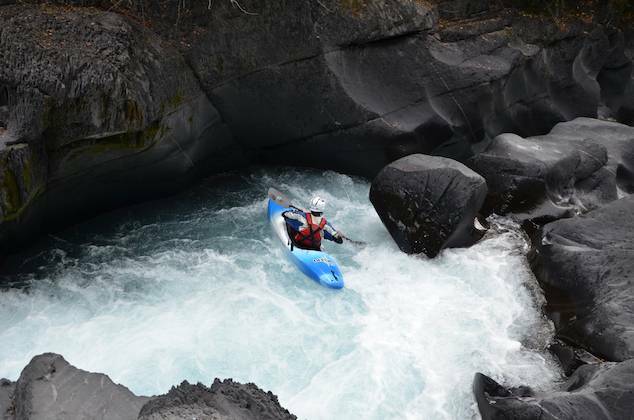 Glacier-fed rivers last for longer and can be paddled right up until the end of summer. 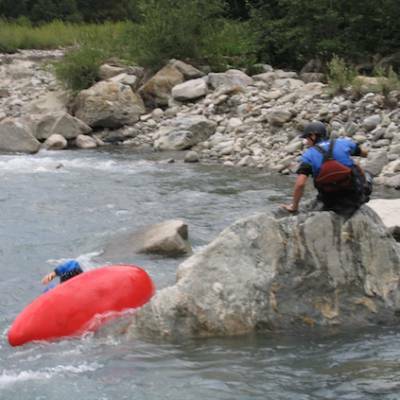 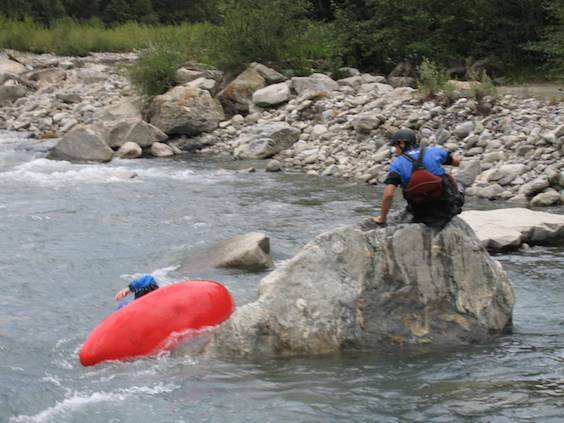 A technical challenge for sensational white water thrills! 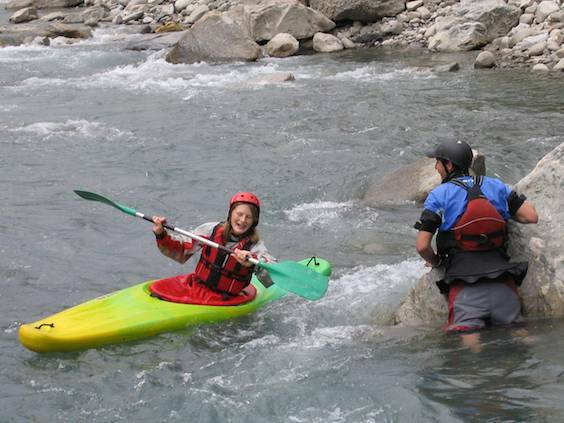 For the beginner kayaking course, the minimum age is 12. 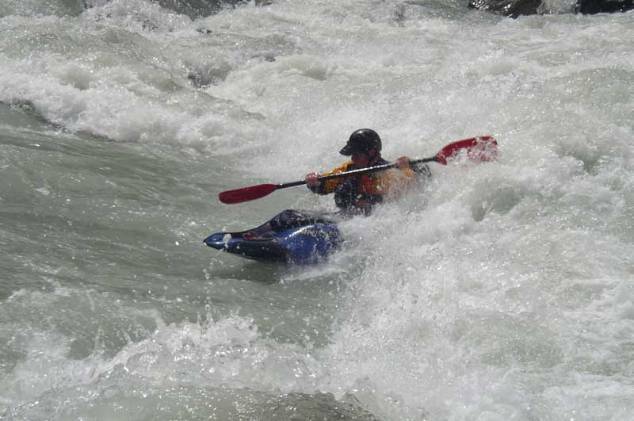 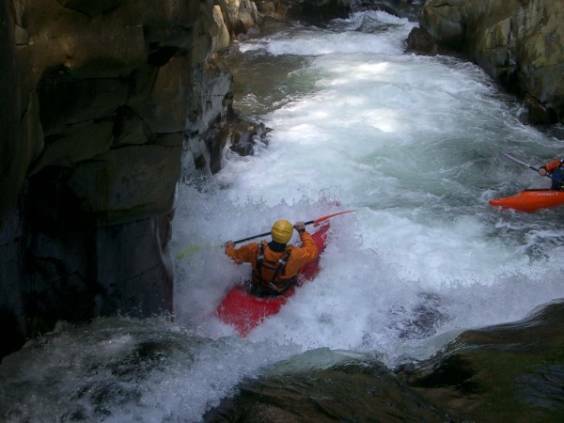 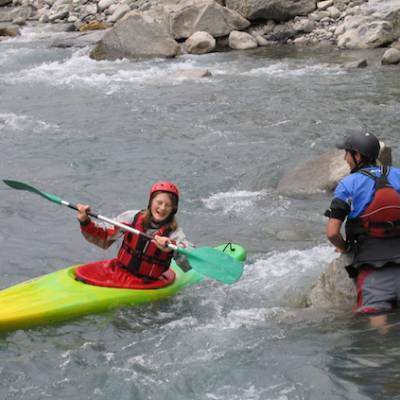 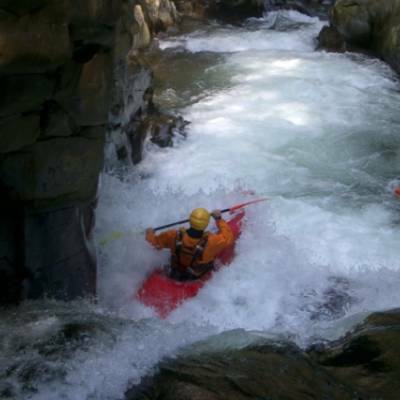 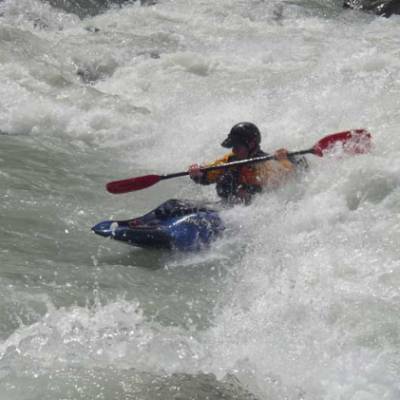 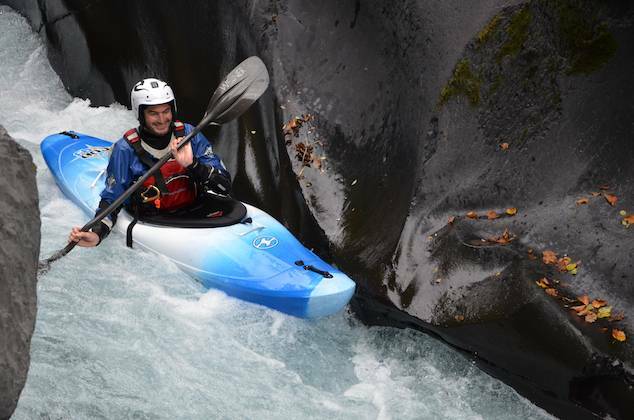 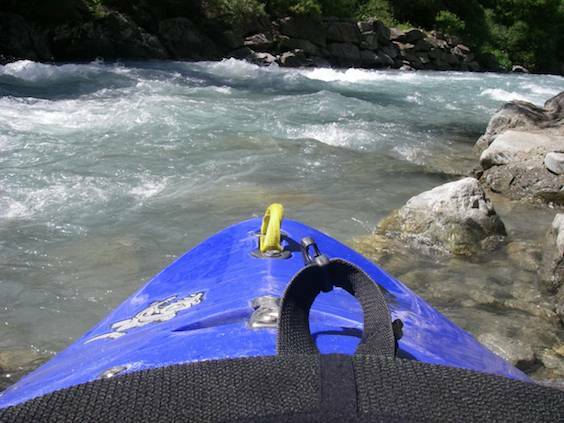 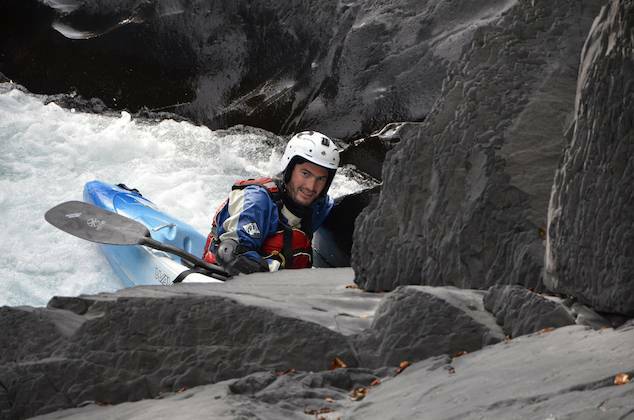 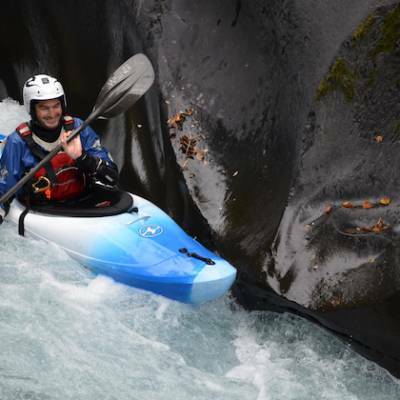 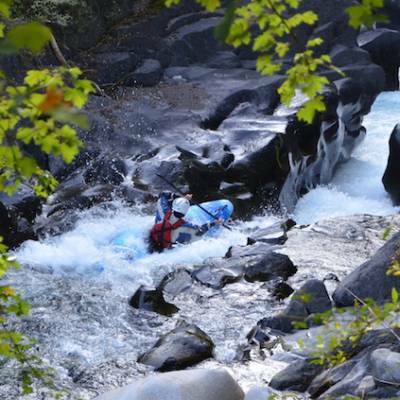 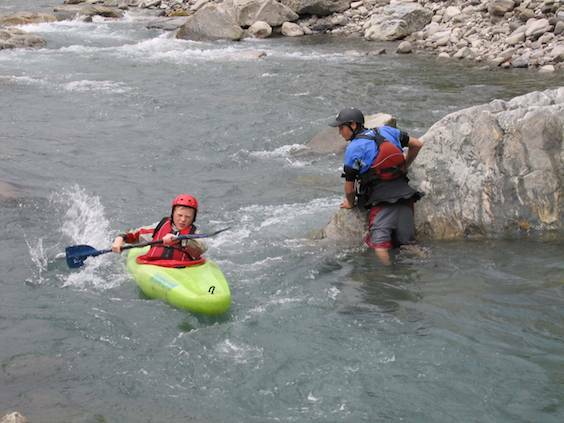 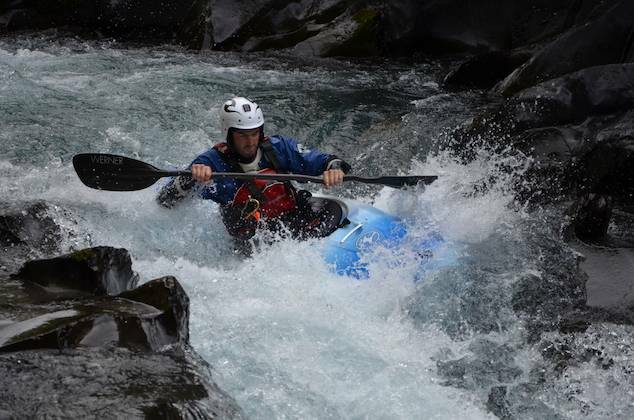 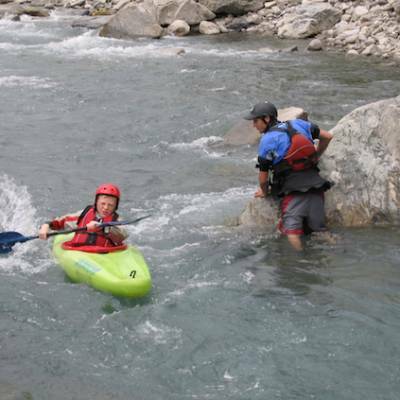 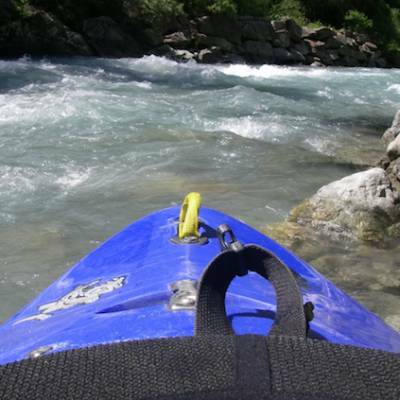 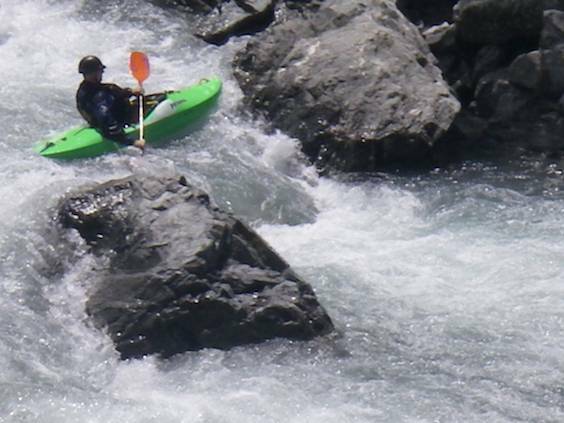 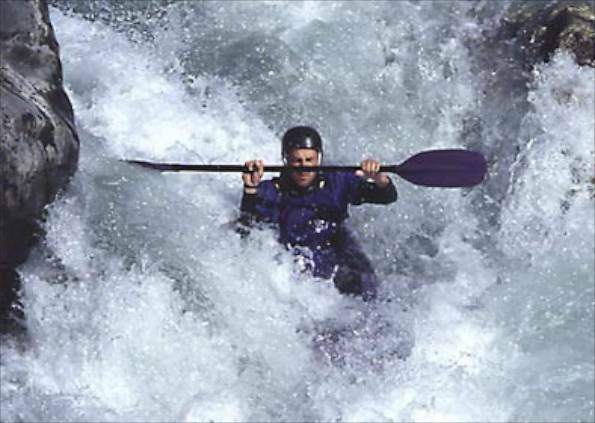 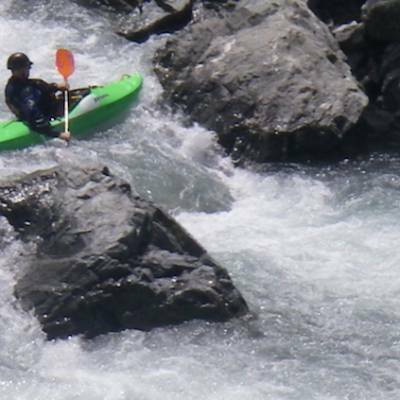 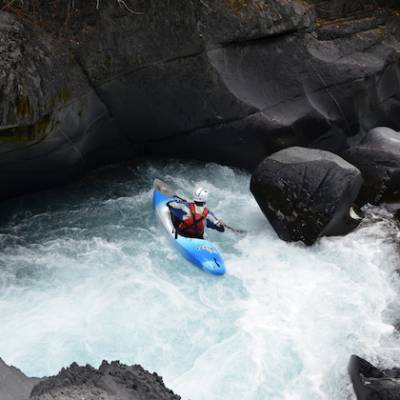 Your white water kayaking skills will dictate what grade of river you are capable of doing. 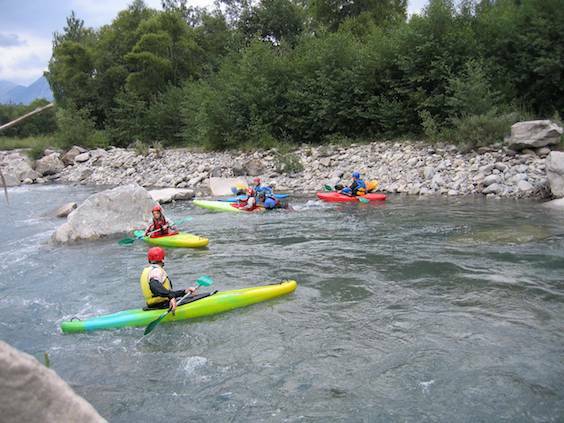 We will choose the right grades for your level during our courses so that you are challenged and kept safe!